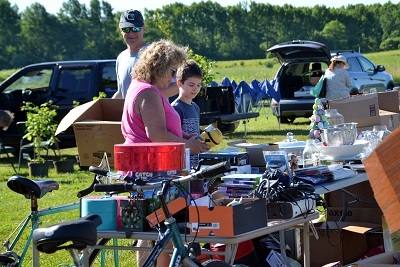 Saturday, June 15 from 9 a.m.-2 p.m.
Cleaned out your attic and found a few antiques? Looking for something to do with those old records? Tidied up your closet and found clothes you no longer need? Have toys your children don’t play with any more? Why not offer them to someone else and bring home cash? The cost to pre-registration $35. Day of registration is $40; cash or check only. Contact Al Weaver at aweaver@monmouthcountyparks.com or 732-542-1642, ext. 31.